The low lying coral atolls make them one of those nations most susceptible to sea level rise due to rising ocean temperatures, and for this reason Tokelau was to be part of the Blue Planet Odyssey route around the world. In the end, for a unforeseen turn of events, the Blue Planet Odyssey did not make it to Tokelau. 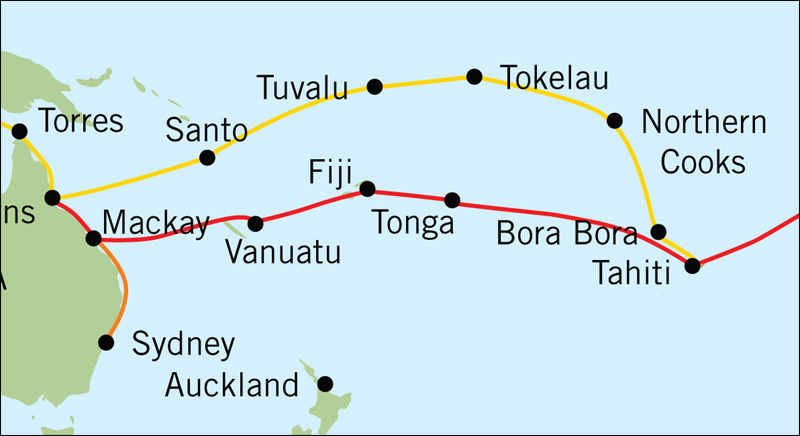 Being so out of the way, and with the weather unseasonably unsettled, the majority of the fleet chose to remain south sailing through Tonga and Fiji. This left the visit to Tokelau up to myself, onboard Drina. We’d been having a conversation via email since the launch of the Blue Planet Odyssey with the charismatic Foua Toloa, at that time Aliki, or Leader of Tokelau. The three atolls take leadership in turn, rotating on a three year cycle. 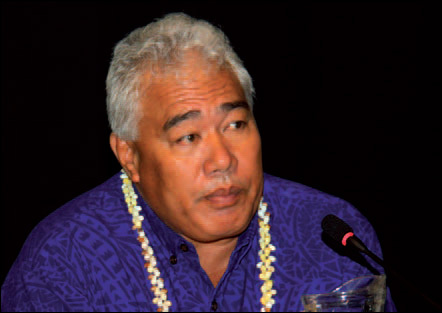 Sadly, Foua Toloa died very recently, which must be a great loss to the Tokelauans. In order to visit, it is necessary to gain permission from the Council of Elders of that particular atoll. In the end, a bizarre turn of events during our stay in Apia, which chiefly consisted of us visiting the sub-office of Tokelau Affairs, and not being informed of the existence of the main Tokelau Government some few blocks away (I can only put this down to a laid back Pacific spirit of the Samoan staffing that particular office! ), the window for permission closed and it was too late for us to sail there in order to arrive before the weekend – not to be done on these very Christian islands where Sunday must be respected as a day of rest. Every cloud, as they say, has a silver lining… Paula Faiva, who had worked with Foua Toloa and is based in the Tokelau Government office in Apia (due to the rotating cycle of leadership, it is more convenient to base the Government there), was eager to meet us. She was apologetic for the mix up. 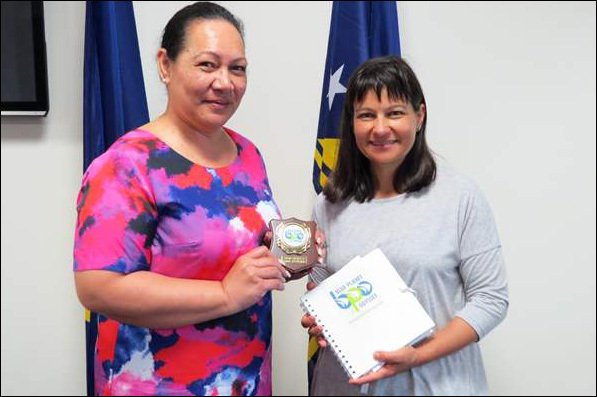 Paula, along with Canadian Francois Martel, the Climate Change Advisor for the Tokelau Government, met us over coffee and explained something of the work being done in the lead up to COP21, the crucial Pacific climate change conference in December. 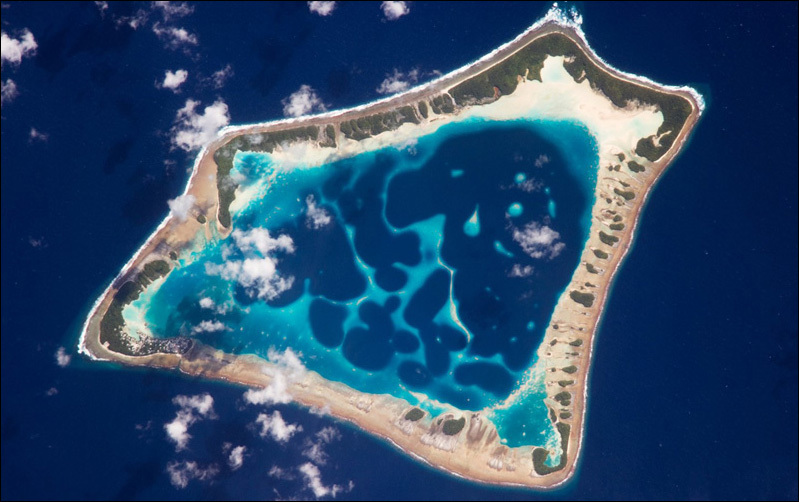 With only some 1400 people remaining on the atolls, with more than 5 times that amount living overseas, principally in New Zealand, the Tokelau islanders have voted to remain as a New Zealand non self-governing territory, and not go for independence. This means, however, that the Tokelau Islanders do not have the same status at the international negotiations currently underway in order to get the world to agree on binding limits to carbon emissions in Paris. ‘We’ll be the biggest of the smallest underdogs at Paris,’ said Francois. How can the voice of the Tokelau islanders be heard as loudly as the rest? ‘We are drowning,’ said Paula with emotion. 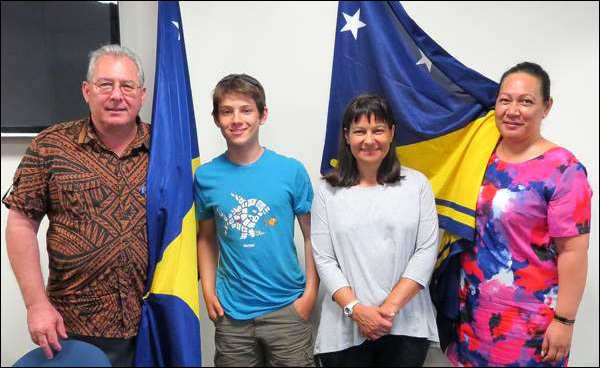 I might not have managed to sail to Tokelau – although en route to Tuvalu, across the blue rolling Pacific, we did pass pretty close – but in spirit I feel like I have been there, and I promised Paula that I would do whatever I could to help raise awareness of the plight of this tiny nation. 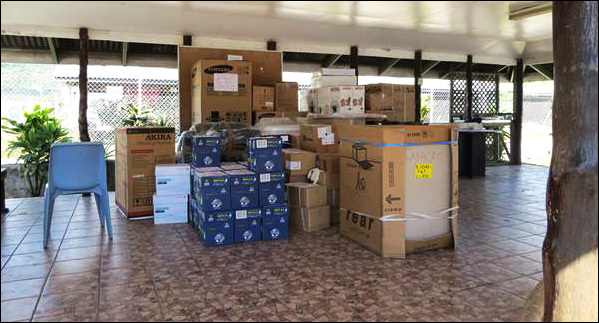 Doina and Dan onboard Drina arrived in Funafuti, Tuvalu, on Tuesday 21 July local time. More to follow soon.